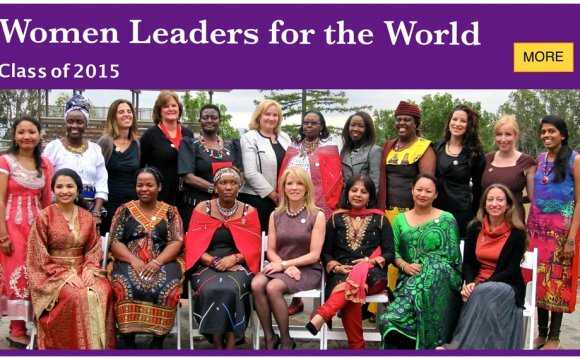 The Council of Women World Leaders is a network of current and former women prime ministers and presidents established in 1996 by Vigdís Finnbogadóttir, President of Iceland (1980-1996) and first woman in the world to be democratically elected president, Mary Robinson, President of Ireland (1990-1997) and Laura Liswood, Secretary General. Through its networks, summits, ministerial initiative, partnerships, fellows, and programs, the Council promotes good governance and gender equality, and enhances the experience of democracy globally by increasing the number, effectiveness, and visibility of women who lead their countries. The Council’s goal is to use the symbolic importance of women leaders and the substantive experience of its members to support women’s full participation and representation in the political process at the highest levels, and future women leaders. President Dalia Grybauskaite (@Grybauskaite_LT) of Lithuania serves as Chair of the Council. The Council is hosted at the UN Foundation. The Council is has uniquely positioned itself to utilize men and women at the forefront of business, government, academia, media and civil society to foster dialogue on gender issues. Our direct access to global leaders and concise mission differentiate the Council from peer organizations, and elevate the impact of the dialogue we seek to create.